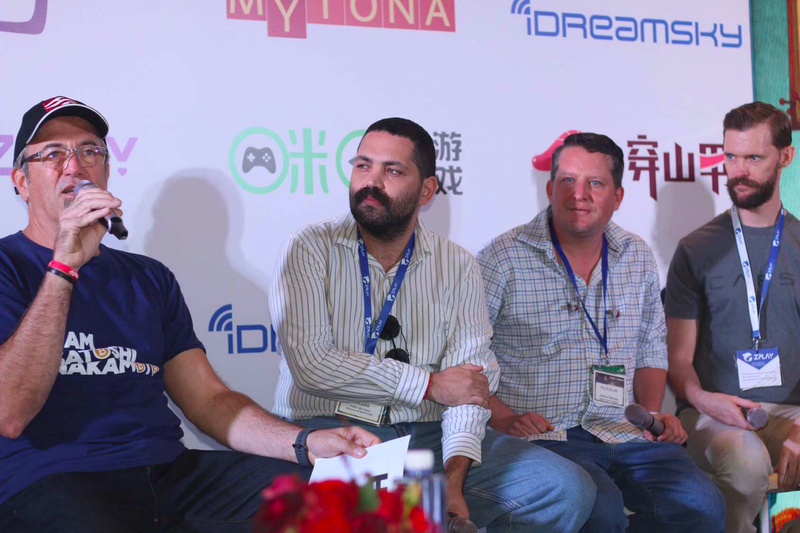 A month ago in Shenzhen, I joined a panel discussion at Casual Connect, an indie gaming conference that takes place every year in different cities across the globe. The discussion was focused on the current state of blockchain games, and I was joined by a group of gaming industry veterans and newcomers to the space that shared their own perspectives on whether or not crypto games were just a passing fad or a new paradigm. Over the last few months, BitGuild has been present in several gaming conferences, and what we noticed is that there is an emerging interest from developers and publishers to jump on the bandwagon and start exploring this new and promising field. 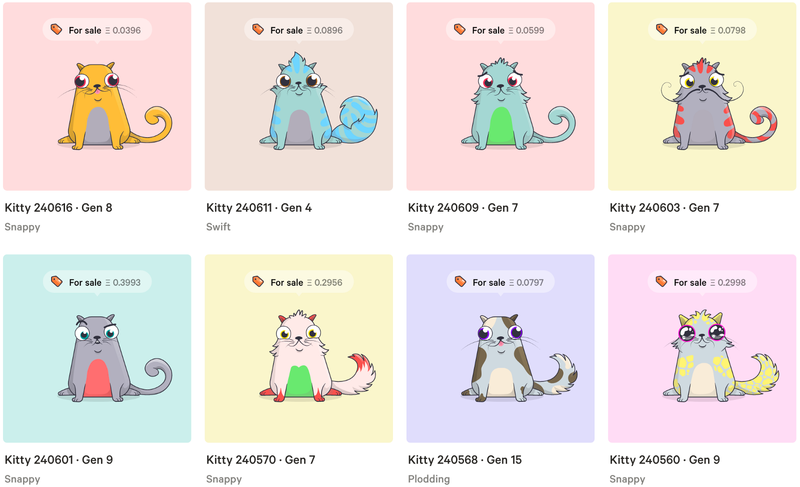 I mean, who wasn’t excited when CryptoKitties was “breaking” the internet with cute cats that could be bought and bred using cryptocurrency? I know I was. This was certainly the moment most people turned their eyes to the potential of blockchain games, and it wasn’t any different for BitGuild. We decided we wanted to create games and experiences that were powered by blockchain technology, in the hopes that these games would finally disrupt an industry of 200 billion dollars a year. Lofty goals, sure, but that’s our final boss, so to speak. Ever since Cryptokitties made the news, a number of blockchain games have been developed, with varying degrees of success, and they’ve provided invaluable insight into the direction blockchain games should take to become more than just a promise and earn their place within the gaming industry. Now, roughly a year after all the hype, I’ve decided to take a moment to go over some of the most promising ideas and concepts for blockchain games, as well as address some things we still need to work on in order to help blockchain games reach their full potential. One of the main selling points for gamers was the idea of item ownership. Avid gamers were excited about the idea that they could be true owners of their items in the future, regardless of whether not the game was shut down or abandoned by the player. With blockchain, every game item becomes tokenized, leaving gamers with the option to trade, sell, and gift their game loot. This continues to be the coolest promise of blockchain games. With this promise in mind, a whole new economy was created, including item trading marketplaces and secondary developer services that drove millions of transactions, ultimately helping blockchain games gain traction and exposure. This is very much something that I believe will set this new genre of games apart, and drive adoption from millions of players who are tired of being at the mercy of greedy publishers. Imagine a world where you can bring your favorite League of Legends Champion to a Mario Kart race against your best bud’s World of Warcraft character. That’s the eureka moment that pretty much every game developer has had at some point since becoming familiar with blockchain games. And you know why? Because this would be incredibly awesome. The idea that assets are no longer bound to the limits of the games they were created within is definitely not new (as shown in Ready Player One and Snow Crash, two great sci-fi reads for anyone into blockchain gaming). With blockchain, where games are written in smart contracts that can easily be accessed by anyone, developers can now mirror those assets in their games and allow for this interoperability that would definitely be a turning point for the industry. So, where are we now? We have projects like Alto.io seriously looking into making this utopian idea a reality, and many developers playing around with the possibilities. Is this something that will completely change the industry landscape? Well, it’s a waiting game right now, and we can only speculate on what developers will do with it, or how it’ll be received by players– but it’s definitely up there as one of the most promising and exciting ideas in gaming overall. Even Ubisoft is testing the waters, and it doesn’t get much more mainstream than that! Another big selling point of blockchain games vs traditional games. Gone are the days of absurd revenue distribution that leave game developers with pennies on the dollar for any in-game transaction. Goodbye middleman, welcome fair distribution. No more chargebacks due to fraudulent transactions. It’s great for both gamers and publishers alike. All of these sound great on paper, but in reality, what have gamers experienced? To begin with, the Ethereum network, where the majority of blockchain gamers are built, has seen some very dark days in the past year. Gas prices went through the roof, resulting in transactions fees that would sometimes cost more than the actual game item, not to mention the processing time. More often than not, the time between buying, say a set of cards, and receiving it, would be up to 8 hours. As a developer, how do you create a game experience around that type of restraint? As a player, would you really want to play a game that makes you wait hours to complete a transaction? This has been, in my opinion, the biggest choke point for blockchain games in the last year, and it reflected on the quality and complexity of games released. Sure, buying a cute cat and breeding it with a player on the other side of the world to generate a unique kitten is awesome, but realistically, how long can a player spend doing that? 10 minutes, 1 hour, no more than a week? There is, simply put, no way right now to create a game on the Ethereum network that appeals to both crypto enthusiasts and traditional gamers — at least not one with basic metrics, such as retention rate and ROI, that justify its development costs. It all may sound a bit grim and pessimistic, but at the end of the day, we are working with a technology that is still in its infancy. Learning how to work around the restraints to continue putting the time and money into new ideas and solutions is what’s going to separate the real players from the chaff. Games need to be fun! Waiting hours for a transaction to go through kind of kills that. Playing a game should be as easy as pressing a“start” button. Nobody wants to go through the steps required to play a blockchain game today — download a wallet extension, create a wallet account, now get ETH, which you’ll have to go on an exchange for, which you’ll have to KYC for. When you finally have your ETH (probably 2 days later), you can start playing this game where you will spend no more than 10 minutes of your time. See the problem there? Blockchain games need to feel unique! Developers have been hard at work creating experiences that would be appealing to traditional gamers, but who says a cryptogamer will enjoy them? What drives this subset of the general audience to play a game? Understanding what a cryptogamer wants is the first step in creating a new class of games that will become a mainstay in the industry. Behavioral Mining: In a nutshell, behavioral mining is basically allowing the user of a blockchain product to mine while using/playing it. The consumer now also becomes a stakeholder in the product, as the tokens mined turn into dividends. For example: say you have a game with a loot box mechanism, but instead of a user just spending the money to open it, they can now receive tokens in return for every X tokens spent, and these would be the dividends of the total earnings in that game. BitGuild’s CEO Jared Psigoda wrote a really interesting piece on that — be sure to check it out. User-friendly wallets: A wallet that accepts all types of tokens, from different blockchains and standards, as well as non-fungible tokens? Well, this user-friendly product is not just a trend — it’s already available, and it was built from the ground up by the team here at BitGuild. GuildWallet, in its beta version at the moment, seeks to solve one of the biggest choke points for newcomers to blockchain and blockchain gaming: how to safely and easily manage all your tokens in one place. Faster and cheaper blockchain networks: Seeing how Ethereum has had a very lackluster year, and the team behind the project hasn’t necessarily delivered on the promises for Ethereum 2.0, many blockchain projects started looking for new chains to develop their applications on. TRON and EOS came out as the front-runners, and for us at BitGuild, the choice came down to the strength of the technology and the community. Ultimately, TRON presented itself as the best option to have BitGuild games and applications built on. Following in the steps of BitGuild, many game developers turned to TRON as the de-facto destination to migrate their dApps and games to, and this trend seems to be a good indicator of where the industry is moving in the next year. I think we can all agree that 2018 has been a very eventful year for crypto and blockchain, and it was no different for BitGuild. In an ever-changing market landscape, we’ve had to rethink and review our early vision and the goals we set out for ourselves, and it’s been a wild ride. We end 2018 firmly believing in the power of blockchain and what it can do for games, and we will continue to push the boundaries and create products that seek to bring awareness and adoption of cryptocurrency to the masses.